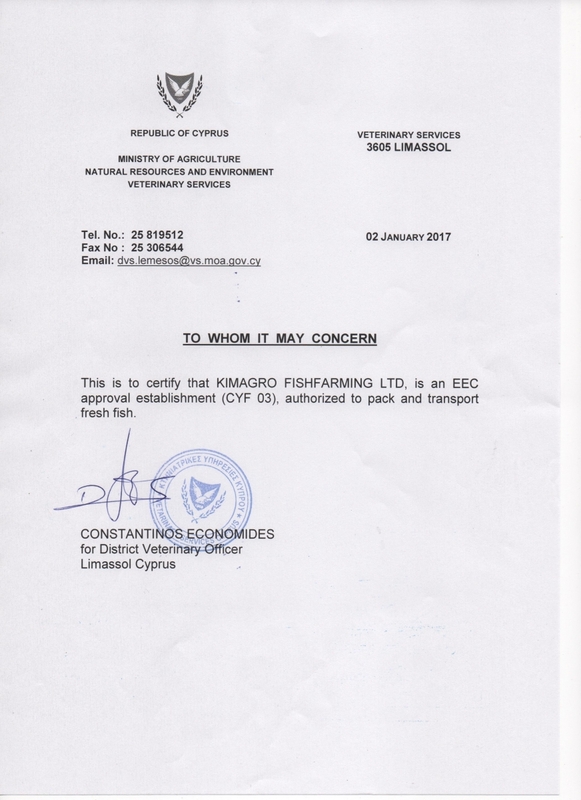 EU approved packing equipment (CYF03) which quickly sorts and grades the fish to the customer's required sizes. The Packing Site is situated below the Headquarters and is controlled to prevent unauthorised entry for Security and Health and Safety reasons. 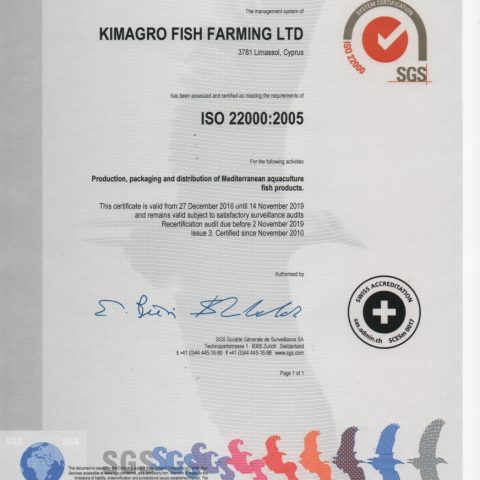 Initially it was HACCP certified and the Company aspired to higher standards thus successfully progressing with ISO 22000 : 2005 Certification which has recently been recertified. 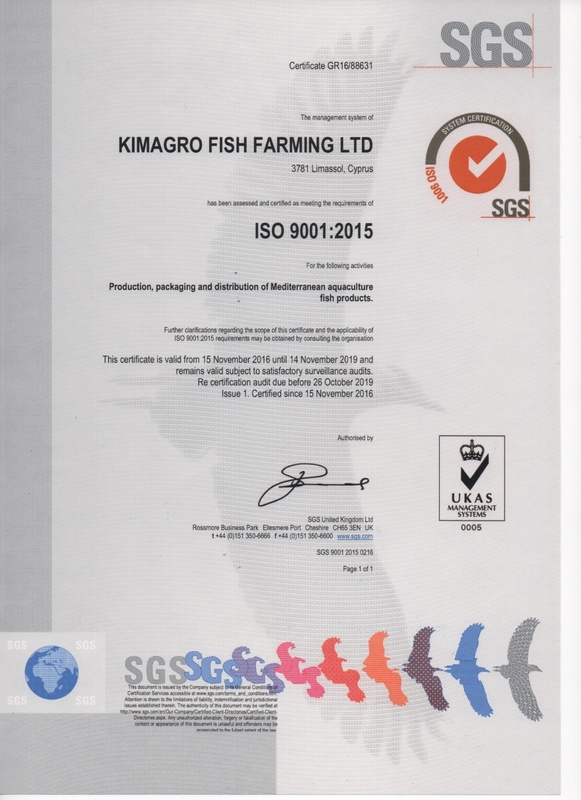 Kimagro has also achieved in November 2016 its ISO 9001 : 2015 Certification for Quality Management System. 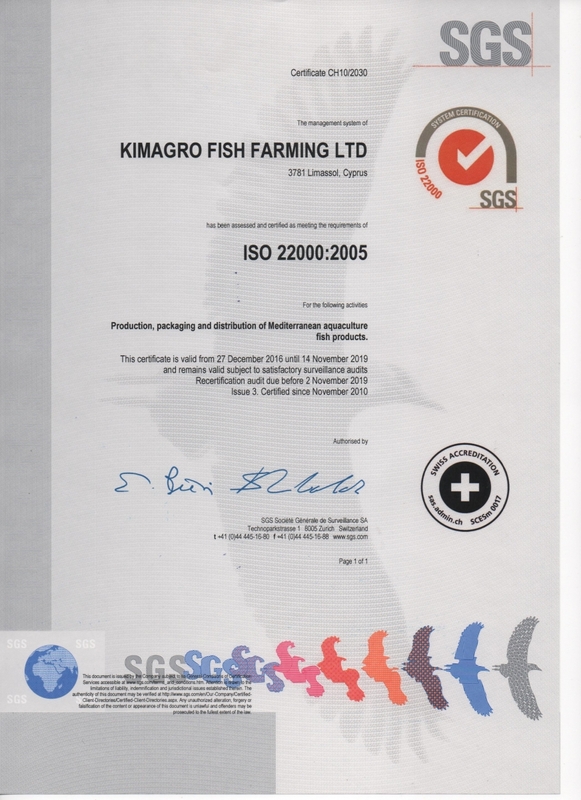 Kimagro maintains these standards with full traceability of its products. 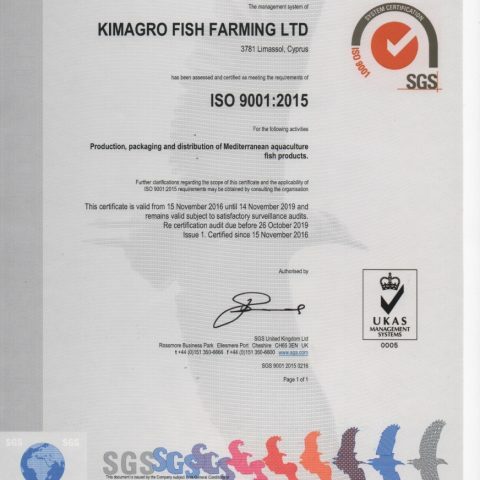 This process was also checked during the Friend of the Sea Audit to become fully certified Sustainable Aquaculture. 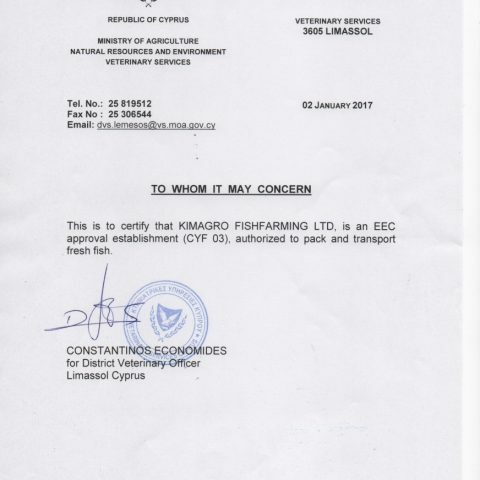 The batch numbers of the fry from the Hatchery are controlled and monitored through the life span of the fish and its development.